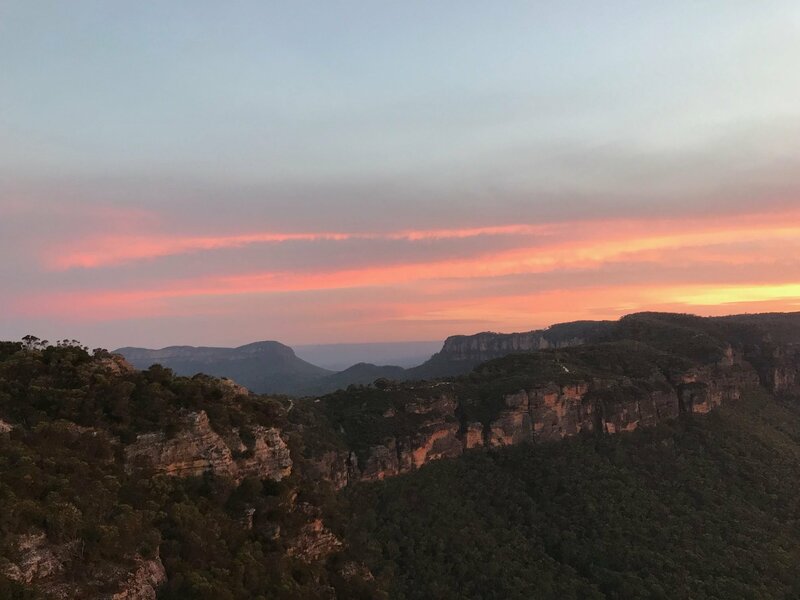 The Blue Mountains host some of the best and most beautiful climbs in the Australia, and has long been known to draw climbers from all over the world. 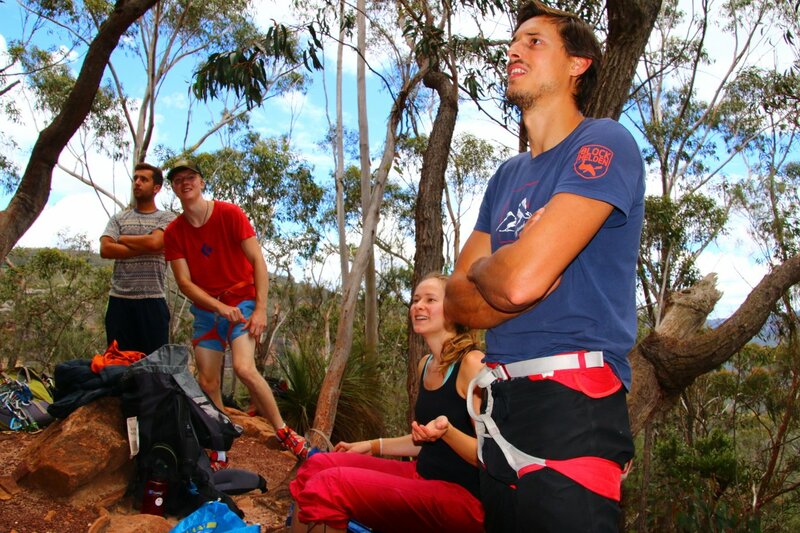 Join in on the fun and try a one or two day climbing course with the Australian School of Mountaineering. 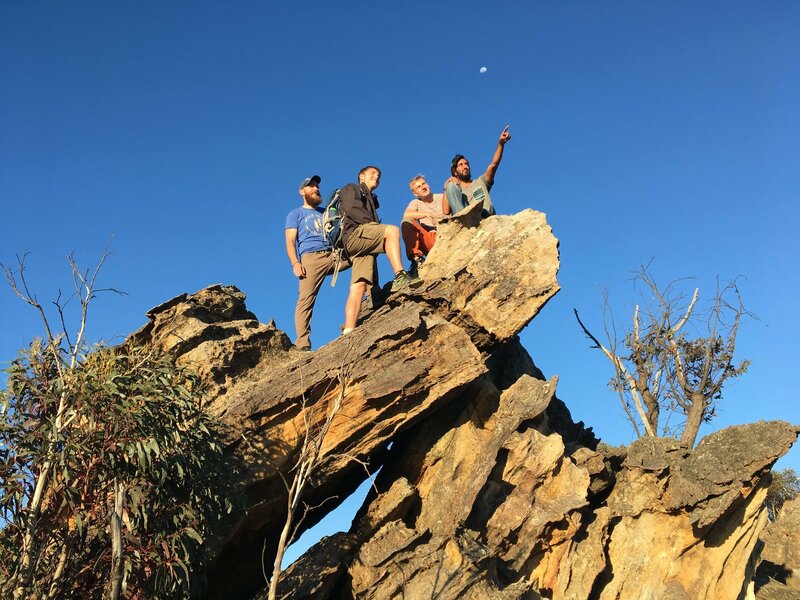 Day course is around $195 for introduction climbing. 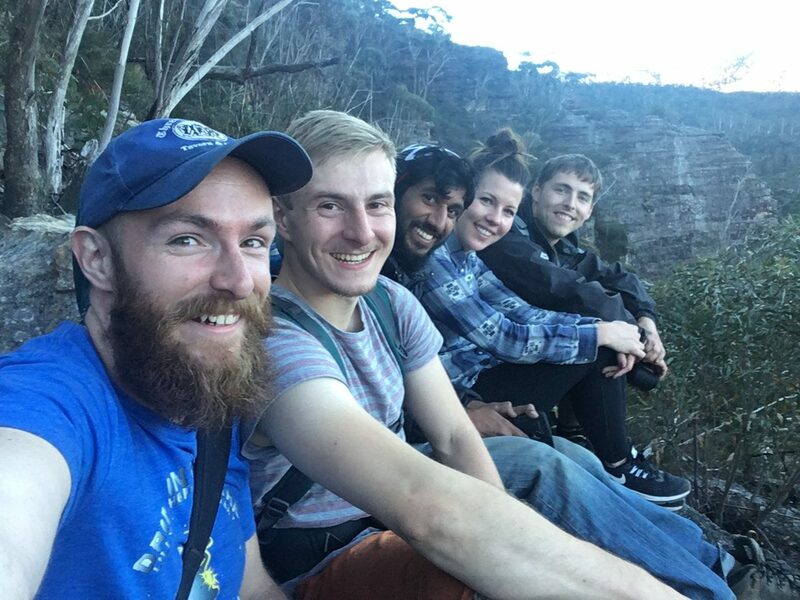 Alternatively you can contact Blue Mountains Adventures Company. 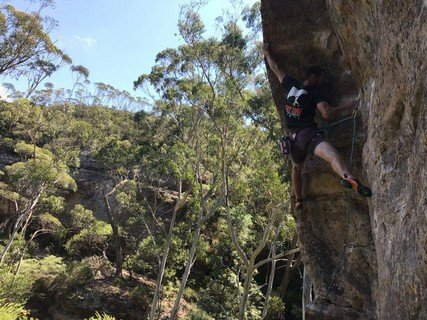 115 sport climbs at crags near Bell. 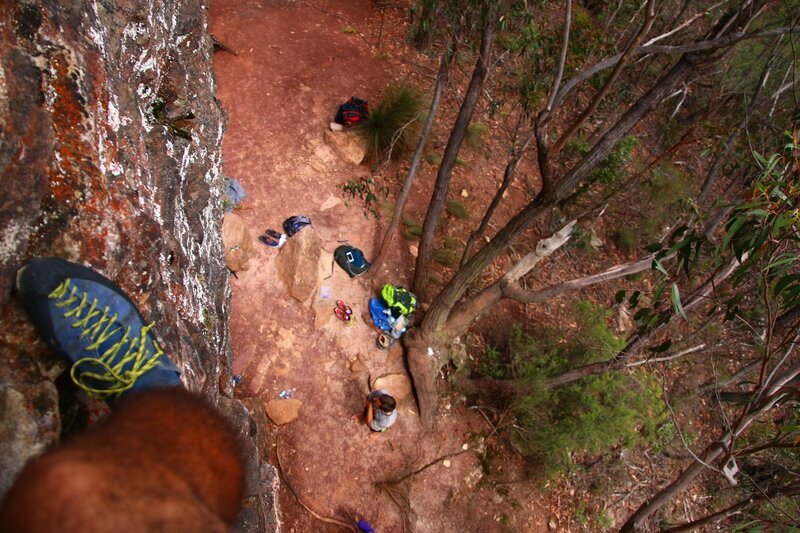 A good variety of climbing at grades 16-31. 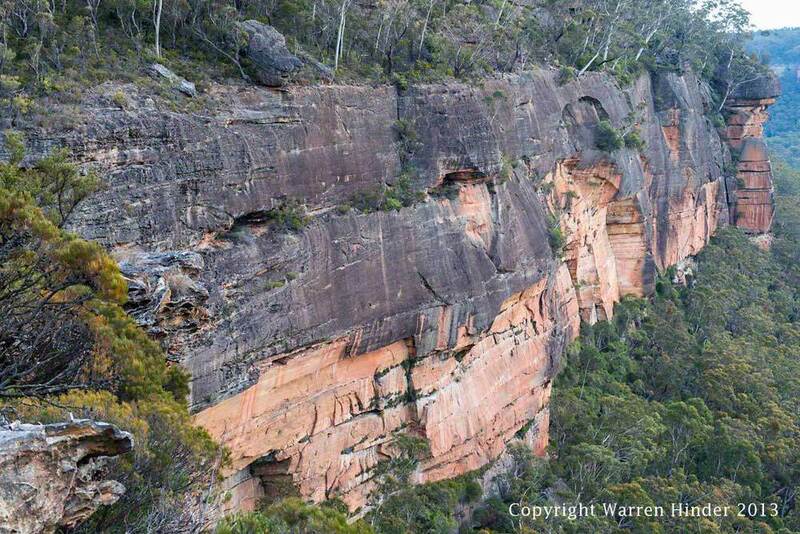 The home of sport climbing in Australia. 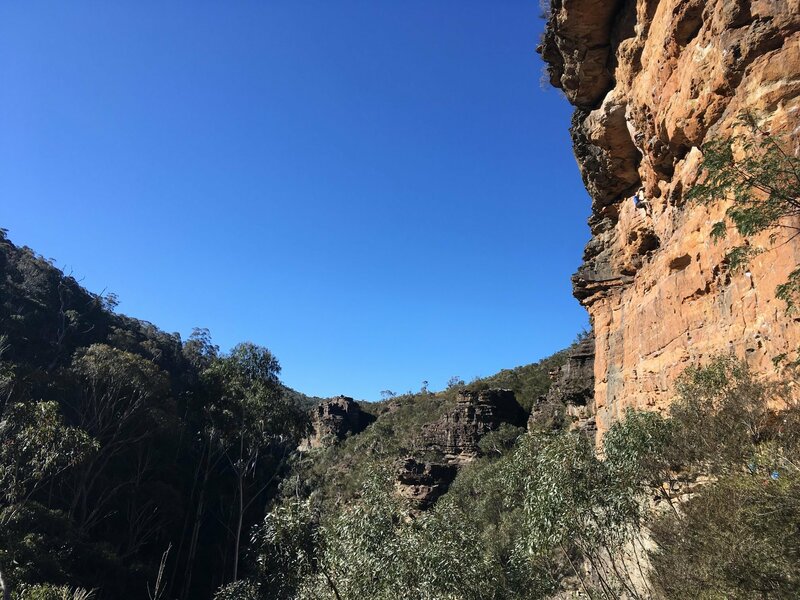 This controversial area has been the scene of some very public debates about ethics of all kinds: chipping, bolting, climbers’ toileting habits, interactions with bushwalkers, and even the climbing environment itself. Note that chipped holds did occur here, but they have all been filled in years ago. Nowadays chipping is NOT acceptable here (or anywhere else for that matter). 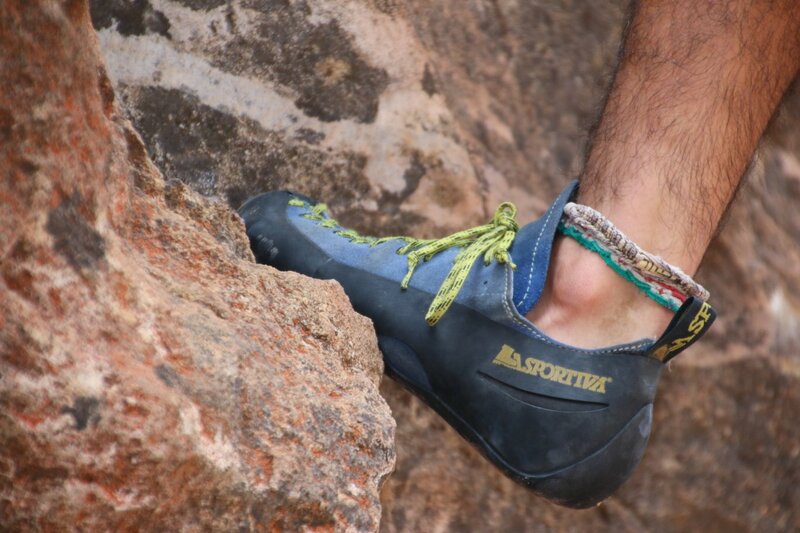 The climbing is short, fun and very very sporty. A great climbing area skirting the bottom of a huge cliffline. The area is actually on Collier’s Causeway at the bottom of Cenntenial Pass. 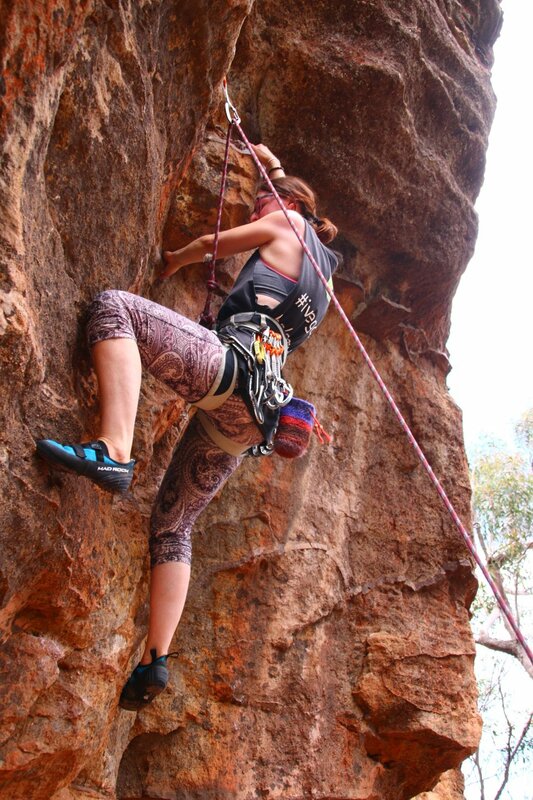 Has climbs ranging from beginner to expert level. 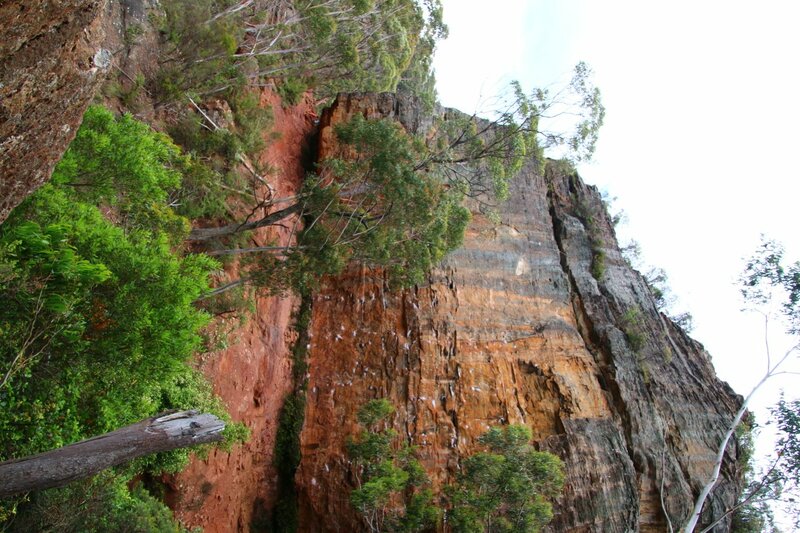 A quintessential Blue Mountains climbing and camping locations. A north projecting peninsula creates a Sunny and a Shady side, though the angular nature of the sandstone butters allows shade to often be found regardless. The glamour climb of the area. 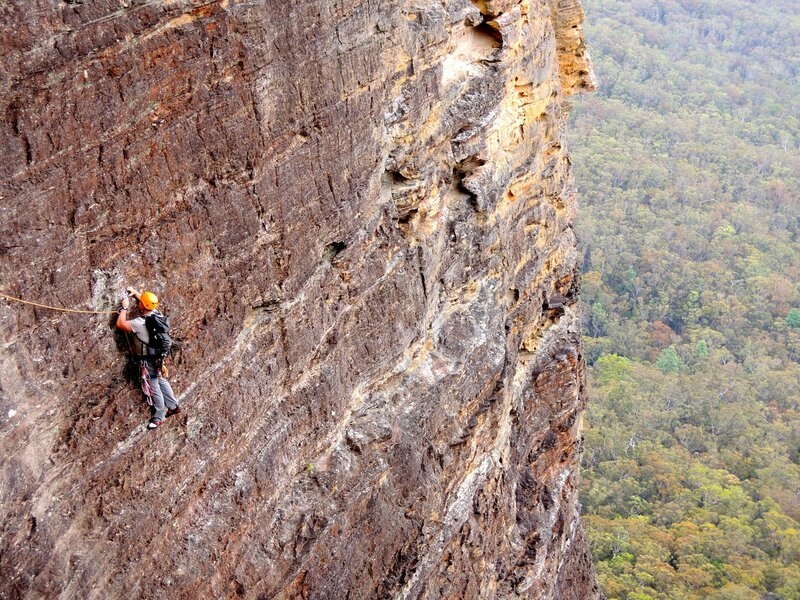 A spectacular looking face and its first ascent (after several free attempts) was the first to use extensive artificial aids. 3/8" eyebolts are needed. 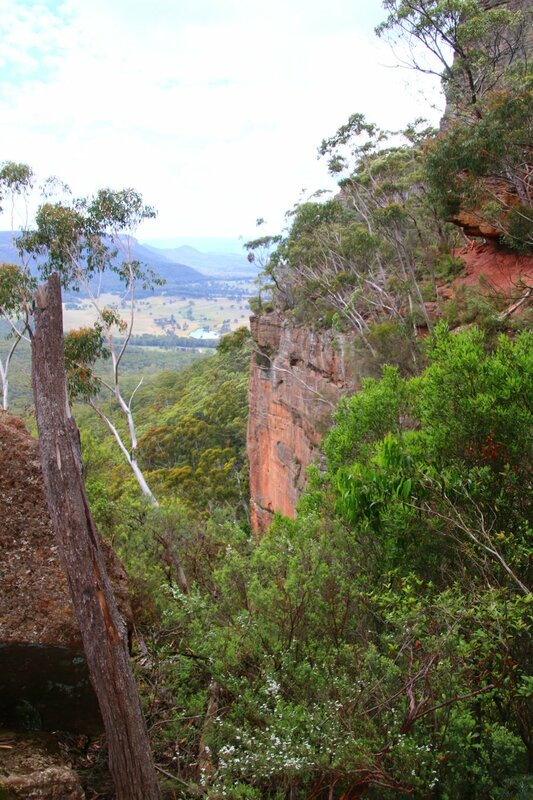 On the eastern side of Mt Piddington the main area is actually Ferris Cave and was once a popular destination for walkers. 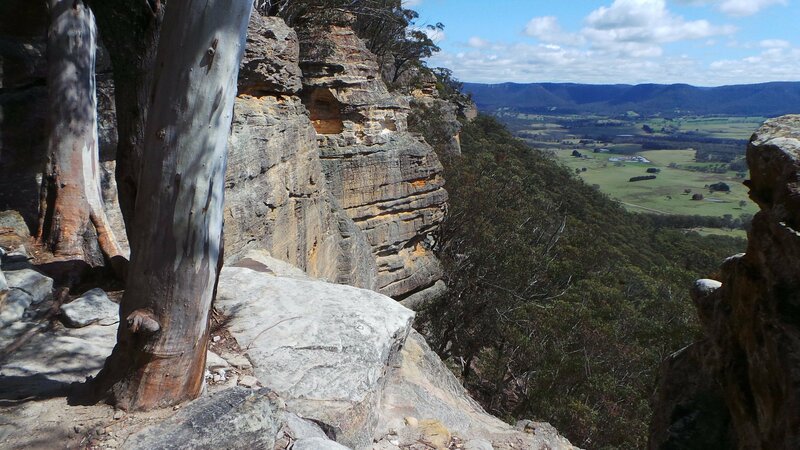 Access down the Hornes Pt fire trail, turn left at signs and then right again on the Ferris Cave track (straight ahead takes you to the Boronia Pt lookout which is directly above the crag). The first area you arrive at coming this way is the Ancient Mariner Buttress.